In the USA, one is blessed with the medical infrastructure and staff that is available to the majority of our population, but in the South Pacific, there are no roads, power lines, or phone systems to connect the smaller, less populated, islands to the same health care services offered on the more populated, primary islands. Sadly, these remote islands are left without even the most basic of health care services, creating an incredible disparity between the remote islands and primary islands in terms of overall health, infant mortality and immunization rates, and longevity. 3 non-profit organization with a simple vision and mission to "stand in the gap" with a service delivery vessel, trained health volunteers, support equipment, and critical care services as our island nation partners develop their "outer island" health care infrastructure. 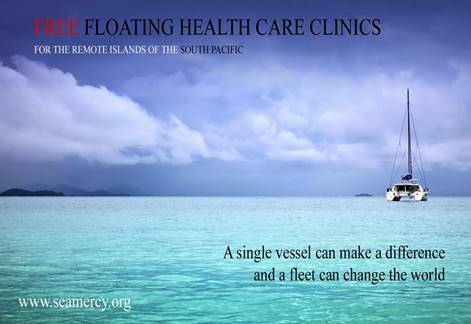 Operating from a fleet of large sailing catamarans, Sea Mercy provides and staffs free Floating Health Care Clinics (FHCC) for our island nation partners remote islands. With 11 island nations targeted, we plan to add from 2-3 additional FHCC's per year based on available volunteers and funding, with a goal of providing an FHCC program for all 11 nations within 4-7 years. With a population of nearly 1 million and over 300 remote islands, of which over 100 are permanently inhabited, Fiji is one of our largest island nation partners. Due to size and distance, we will be operating two FHCC’s in order to effectively serve their remote islands citizens. There are three remote island groups that Sea Mercy will be focusing on in Fiji; the islands south of Lakeba Passage, the islands south of Nanuku Passage (but north of Lakeba Passage), and the Yasawa Group northwest of Viti Levu. We depart Sunday evening from Suva on the main island of Viti Levu, and make our first landfall on our furthest targeted island. Over the next 12 days we will sail our way back, stopping at each scheduled remote island to evaluate and treat patients as needed. 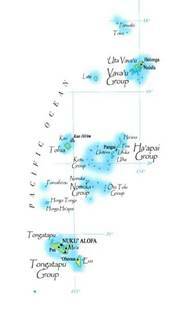 Although smaller in population (100,000), Tonga has over 170 remote islands, of which 50 are permanently inhabited. After spending 2013 in Tonga, we have determined that one FHCC vessel can reach all the remote islands within our desired 45-60 day time period. There are two main remote island groups that Sea Mercy will be focusing on in Tonga; the Ha’apai Group located 100 miles north of the main island of Tongatapu, and the Vava’u group located 250 miles north of the main island. Each rotation will be starting in either Pangai in Ha’apai, or Neifu in Vava’u where the rotation will spend the next 12 days visiting as many remote islands as possible in each island group. With three FHCC vessels operating in 2014, our rotation types and volunteers will be medical (60%), dental (30%) and ophthalmology (10%). 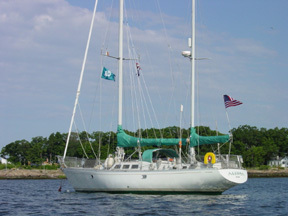 Each consisting of a balanced team of 4 to 8 professionals for each rotation (i.e. doctor, nurse, physicians assistant, and pharmacist) and will include two local island health care professionals who will be working with you and acting as translators when needed. 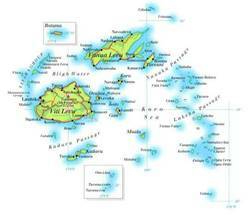 Volunteers are selected based on experience and ability and submitted to the island nations for work approval. Each rotation is a balance of patient care, sailing, and enjoying the incredible sights, people and culture of the South Pacific. It is the best “working holiday” that you will ever experience.